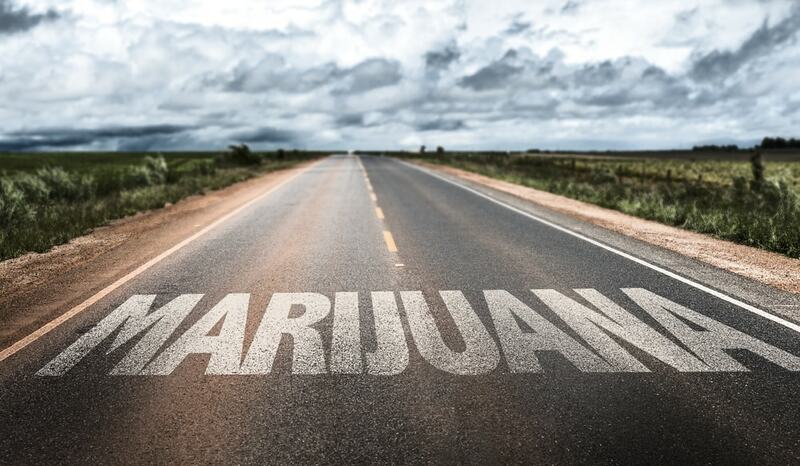 Pure Green Express Blog - Is Marijuana Addictive? Most of the youngsters agree to the fact that drugs are not good for them and that is why they are looking for solutions to get rid of this addiction. However, most of the people are unable to accept the fact that marijuana addiction is real. The reason is that in the experimental session of marijuana addiction was not proved. There are many individuals that are using marijuana and they commonly ask how marijuana is addictive, being told to stop using the drug. The reason is that there is no clinical evidence available that can prove whether marijuana is an addictive drug or not. However, there are many signs and symptoms that clearly show that marijuana is really addictive. So, if you want to know the reasons that will prove the addiction of weed, read the information below. Most of the youngsters wonder how marijuana is addictive. You should know that the biggest sign of the marijuana addiction will be manifested when you will start using the drug every time you’ll meet a problem. This is the early stage of the addiction. In this situation, most of the people will smoke marijuana when they are stressed, or they want to relax because their entire day has been hectic and stressful. It might not sound like the addiction but once your mood relies on a drug it will be hard for you to relax otherwise. That is why many individuals are suffering from marijuana addiction. Once you start using marijuana in stressful conditions, the chances that you will consume it every time to feel happy and relaxed are high. The reason is that marijuana increases the production of dopamine in the brain that gives the feeling of pleasure. You will start enjoying thing feeling and this is the reason you would prefer to stay high. You will start to wait to get back home so that you can smoke marijuana. That is why most of your free time you will spend it smoking marijuana. It is considered that when you only consume the vapors of the marijuana, it will not be addictive. However, you should know that the vapors have the same concentration of THC just like any other form. The reason is that your brain will get used to the concentration that you are using. That is why it will not produce the similar effects. You will start increasing the concentration to enjoy the effects of marijuana. This is the sign that makes you addicted to the drug. With the passage of time, you will notice that your abilities will depend on marijuana. Whether you are working on a school project or your presentation work, it will be hard for you to relax your senses without marijuana. You will need marijuana to think about the ideas related to the project. Without marijuana, you will be like a madman who cannot think of anything and you will get frustrated at everything. You will notice that you will even take your marijuana smoke to the office. You will hide it so that others will not find out. Whenever you will have to work on important projects you will think about the smoking rooms so you can use marijuana which will help you to think about the new ideas. You will be surprised to know that marijuana can be so addictive, that you will even make your relationship based on your consumption of marijuana. There are chances when the partner will not allow you to smoke marijuana, and, as a result, it will force you to break the relationship. As you have to stay high, you will find a partner who smokes marijuana too. You will feel yourself better in a relationship with someone from your smoking group so that no one can stop you from smoking and getting high whenever you want. Your productivity will be affected by marijuana addiction. In the beginning, you would like to get high at home, but with the passage of time, you will even use it in the office. If you stay high every time with marijuana, it will be hard for you to focus on your work. You won’t be able to concentrate on the given tasks and, as a result, your projects will not be completed on time. So, it is better for you to accept the fact that marijuana is addictive just like the other drugs that you might have been using. It is better that you get the treatment as soon as possible so that you will not have to deal with severe withdrawal effects.